Have you ever driven somewhere and after arriving thought to yourself I don't remember the journey here! Did I stop at the traffic lights, I can't remember even seeing them! Well, if you have, then you have already experienced a natural form of hypnosis. Natural hypnosis happens to us all everyday, it just goes by unnoticed E.g. becoming totally engrossed in a book, watching a gripping movie or even being entranced by a beautiful sunset. Hypnosis is a relaxed dream state. With the help of a therapist you will be guided into an altered state of consciousness, a state that you can come out of at any time you wish, almost like breaking yourself free from a daydream. 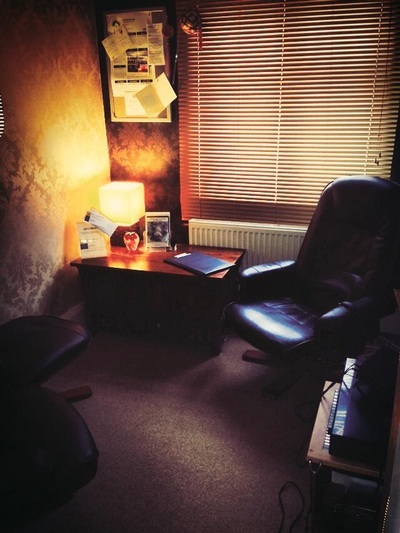 The aim of hypnotherapy is to bring about changes to the client that will bring a benefit to them. There are many branches of hypnotherapy although it is probably best known for helping people to stop smoking or lose weight. It can also be used to break many other habits such as nail biting and drug abuse, it will strengthen your self-control. It has been very useful in overcoming stress, fears and phobias, calming nerves and boosting confidence. During hypnosis you are conscious but your consciousness is altered temporarily. It is a very pleasant feeling of calmness and deep relaxation. You are not asleep or unconscious. Your eyes will be closed but you will be able to hear my voice. The key ingredient to enter a hypnotic trance is relaxation and for most people this is a gradual process involving one or more sessions. All you are required to do is to relax and to concentrate on my voice so I can help you achieve that relaxed state. For most people, entering hypnosis can be a bit of a disappointment as they do not feel as though they have been hypnotised. They almost expect to suddenly 'go under' with a click of my fingers, but it is not like that at all. There is no 'going under' feeling or click of fingers, no shouts of 'sleep' and a pat on the shoulder. Some doubt that they are actually being hypnotised at all. My own mothers exact words after her first session were " that was lovely, very relaxing but I wasn't hypnotised Deb" (she has lost 23lbs and needed only one session) Keep your expectations realistic, do not expect sudden loss of consciousness, it is a gradual, drifting process. When you understand this you will find it easier to relax deeper and deeper allowing me to engage with your subconscious mind. 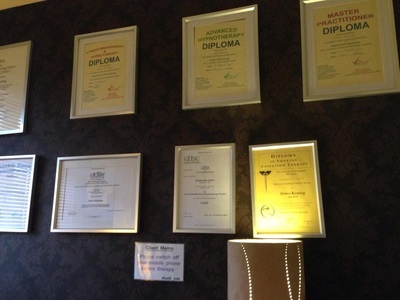 I have been working as a Master Hypnotherapist since 2007 and was previously working in a field using hypnosis since 1993. Call or text me on 07930 2257 86 For An Appointment Or For Further Information, No Obligation. Female Hypnotherapist and Smoking Cessation Therapist. 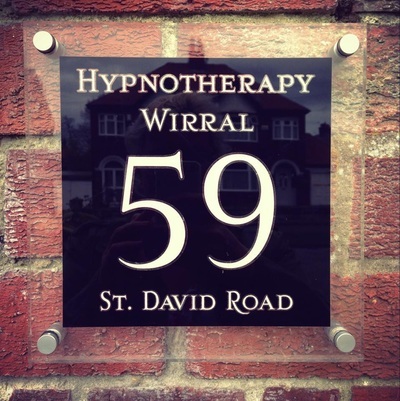 Located in Birkenhead, sessions for weight loss, stop smoking, confidence, fears, phobias and more.